The new WWFC Remotely Piloted Aircraft Systems website has launched! Check out the new site to sign up for Basic, Advanced, Refresher and Specialty courses, as well as UAV news and frequently asked questions. The Canadian Gazette dropped the updated rules and regulations on January 9, 2019 that the drone industry had been waiting for. The new revisions can be viewed on the Canadian Gazette or Transport Canada's website. The new revisions will not be implemented until June 2019. This means you can continue flying as you have been for the next six months. After June everyone will have to follow the updated regulations and have a Basic or Advanced license. However, both exams are online, and you can take them whenever you want. For those who don’t have time to read 40 pages of Canadian law we will be offering a refresher course to all our alumni. WWFC will also be offering several refresher Remotely Piloted Aircraft Systems (RPAS) classes throughout the year. These classes will review some of the material that was originally taught, as well as cover all the new regulations and terms published in the Canadian Aviation Regulations. This refresher will help to ensure your successful completion of the online exams and prepare for your flight review. If you are looking to complete the RPAS advanced certificate, you will also be required to complete a flight in front of a flight examiner. We will have several RPAS flight examiners and will be booking these online at a first come first serve basis. WWFC strives to maintain a superior level of training to all customers past and present. As the regulations change and evolve, we will ensure we keep you informed and up to date. Should you still have questions please contact our RPAS Manager, Sarah Spry at sspry@wwfc.ca or 519-648-2213 x106 or visit our RPAS website. Whether flying a drone for work or research, the Waterloo Wellington Flight Centre's training course will ensure you have the knowledge you need to operate safely and reliably in Canadian airspace. 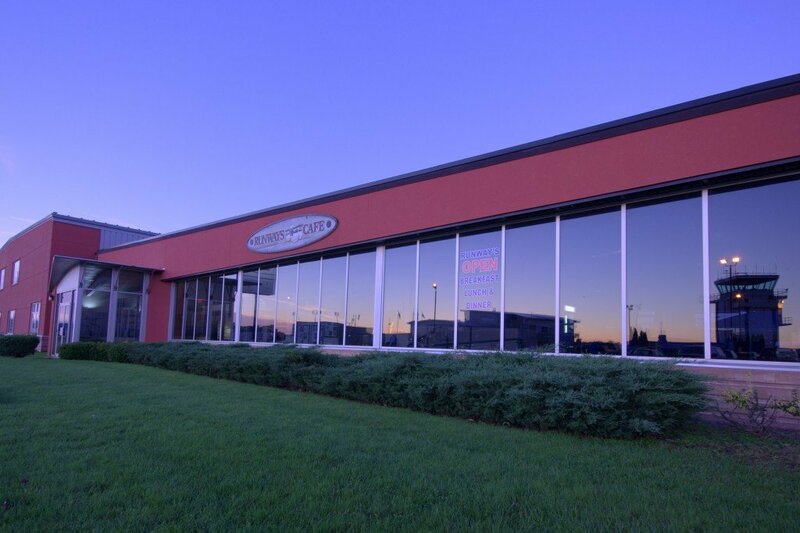 Waterloo Wellington Flight Centre (WWFC) is one of the largest professional flight schools in Canada. We know aviation and we know UAVs/drones. Our course provides you with practical, up-to-date information, so you can safely operate under Transport Canada's Exemptions (under 1kg or 1-25kg) or under your Special Flight Operations Certificate (SFOC). The benefits of our training are invaluable. We provide students with the required aviation knowledge, a radio licence and training on how to apply for the SFOC properly, all in a professionally run and active flight training facility. Our course is Transport Canada (TC) compliant, meaning we cover the materials outlined as necessary by TC's knowledge document TP15263. WWFC Instructors are licensed flight instructors (commercial pilots) and Aircraft Mechanics. External instructors bring years of commercial UAV/drone flying experience to you. Ongoing support through our graduates Facebook group. WWFC closely follows TC and industry developments. WWFC is a member of Unmanned Systems Canada and partnered with several UAV manufacturers. Our intensive program is designed to introduce operators to the range of scope of the two categories of UAV exemptions (under 1kg or from 1-25kg). Current regulation through Transport Canada (TC) requires most UAV operators to obtain a Special Flight Operations Certificate (SFOC) to operate a UAV for commercial purposes. Training will provide the knowledge and resources required to operate a UAV safely and in compliance with TC requirements. Cancellation Policy: We require 14 days cancellation notice prior to your scheduled arrival. A transfer to another class is permitted, otherwise no refund will be issued. We offer customized UAV training services for groups of seven or more. Please contact UAV Business Development, Sarah Spry at 519-648-2213 directly for more information on this training option. Meet one of your UAV partners! Scott Gray, President of AVIDRONE Aerospace Inc.
Scott provides hands-on technical UAV flight training for Waterloo Wellington Flight Centre's (WWFC) UAV program. Scott is an entrepreneur and local business leader, and his UAV expertise combined with his professional aviation flight training background brings a high-level of professionalism to WWFC's unique program. Years of experience flying UAV helicopters and camera-equipped, custom built UAV helicopters and octocopters for low-level aerial photography and HD video. Holds a Transport Canada SFOC for UAV flying. Mechanical designer and has developed and worked on many UAV and radio controlled projects ranging from a few pounds up to 900lbs flying weight. If you are in town for a course with the Waterloo Wellington Flight Centre, we have corporate rates with the following hotels that are near the airport. If you are interested in accommodation while taking the course, we have a corporate rate with Cambridge Hotel & Conference Centre. When you call for a reservation, please mention the special code attached to your invoice to receive the special rate. If you are interested in accommodation while taking the course, we have a corporate rate with Radisson Hotel Kitchener Waterloo. When you call for a reservation, please mention the special code attached to your invoice to receive the special rate. Do you have more questions on UAV (drone) regulations in Canada? Connect with Transport Canada here.